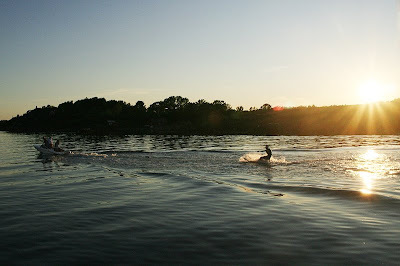 The same water skiiers. 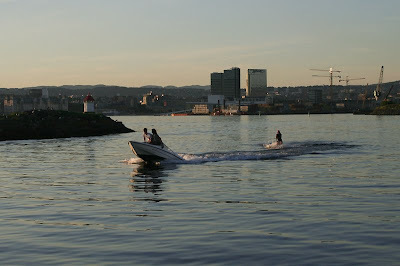 The island behind them is called Hovedøya (translated to "the main island"). 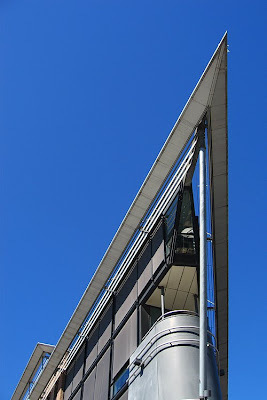 A piece of one of the buildings at Aker Brygge. 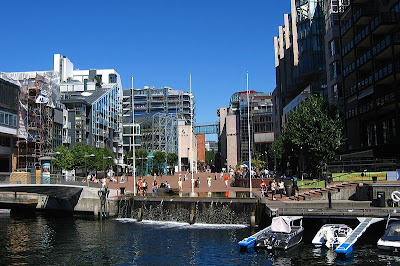 A view from the "inside" of Aker Brygge. This photo was taken from the Parliament building. 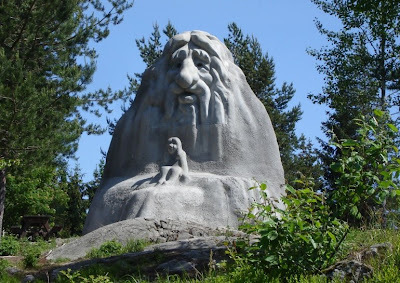 At Gratishaugen near Holmenkollen, you'll find this huge troll. 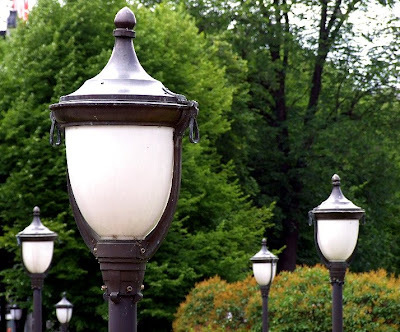 It's 6,7 meters tall according to this webpage. These are modern houses, but built to look old. 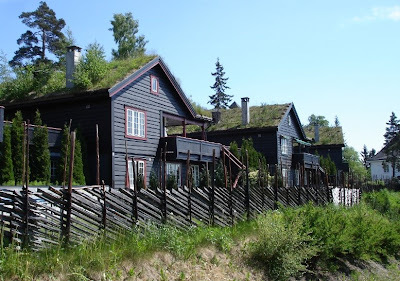 Grassy roofs were quite common in the old days, especially in the countryside. 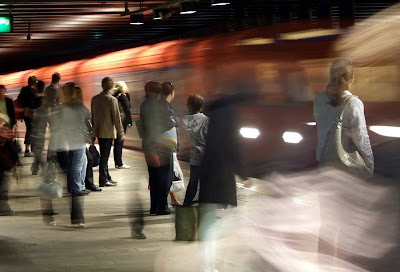 This picture was taken near Holmenkollen, an area where people usually are quite wealthy. 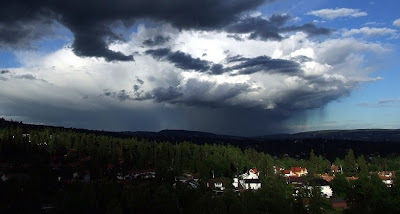 Oslo at the end of June; a thunderstorm passing. 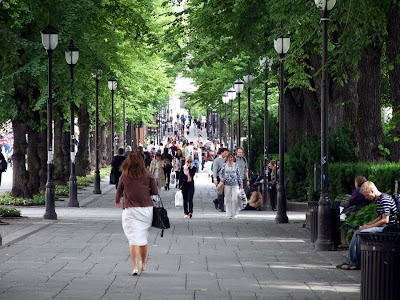 Who would have thought that this quiet street is so close to the center of Oslo, but it is. 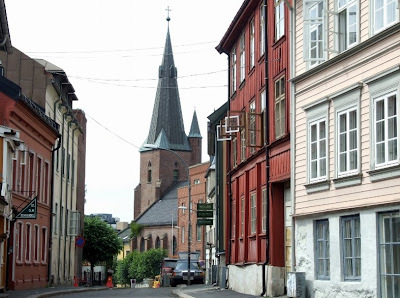 The Church you see at the end of the street is St. Olav's Domkirke, a Catolic church. 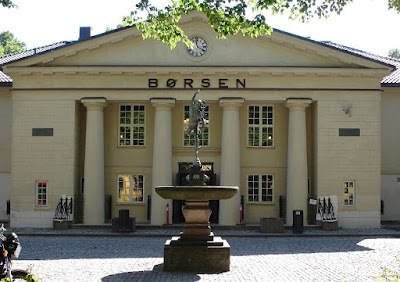 The name Telthusbakken is from a large canvas house that existed around 1700. Telthusbakken is a narrow street located in Oslo, close to the center of the city. 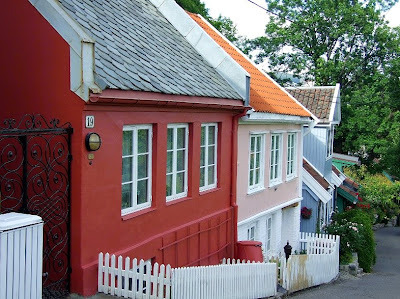 Almost all buildings along the street are old and traditional wooden houses, many from the period around 1815 when deeds were issued for the properties. During the 1500s, the street which is now Telthusbakken was part of the main road passing the Old Aker Church, from east to west of Oslo and further across to the west coast. Sitting on top of the Telthusbakken hill, Old Aker Church was built around 1080 and is the oldest building still in use in Oslo. Gamle Aker kirke (Old Aker Church) is the oldest existing building in Oslo and was built around 1100. 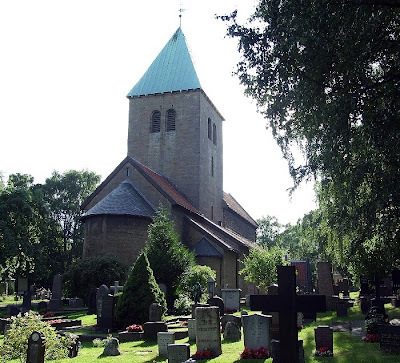 The church sits on top of the Telthusbakken, which you will find a photo of here tomorrow. 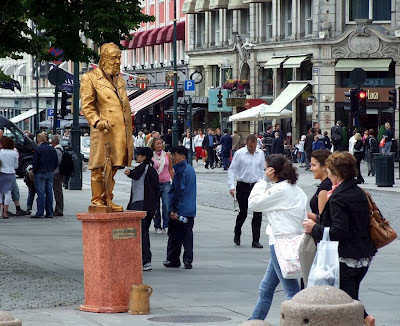 From Oslo's main street; Karl Johans gate. 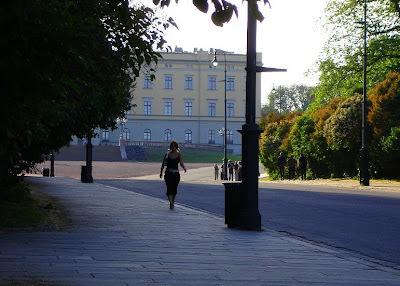 People on the sidewalk of Karl Johan. 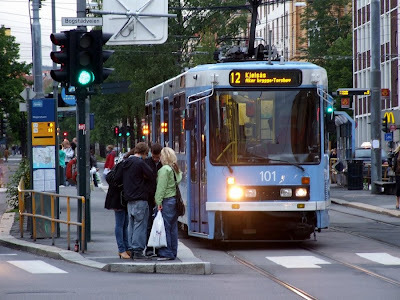 Tram no 12 waiting at Majorstua. 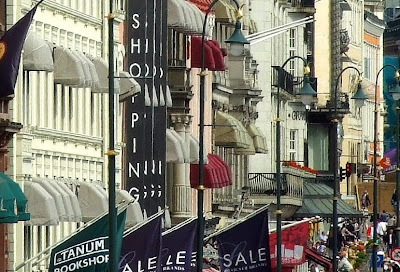 Three girls enjoying a shopping spree in Oslo. 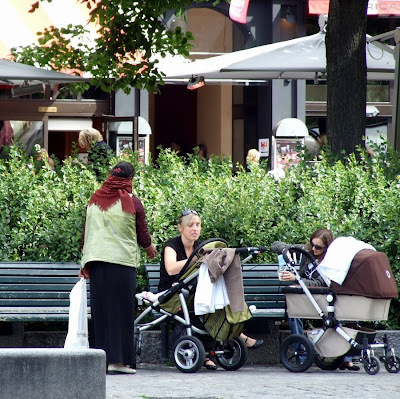 In 2006 an earlier law to ban begging was overturned, and since then Oslo has had an increase in beggers mainly from eastern European countries. 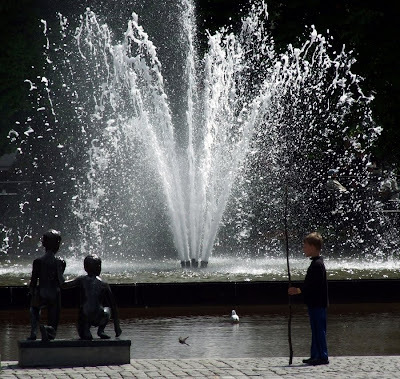 A small boy playing with a long stick in Spikersuppa. 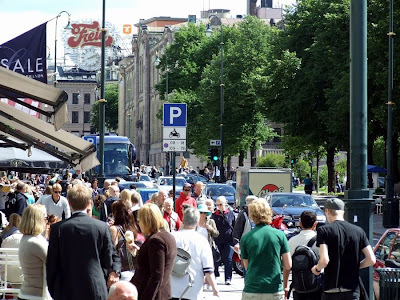 Oslo's main street, Karl Johan, is filled with people during the nice summer days. 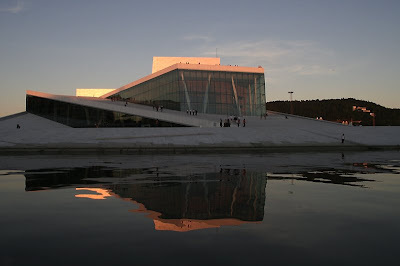 The metros of Oslo bring you to almost all parts of the city. 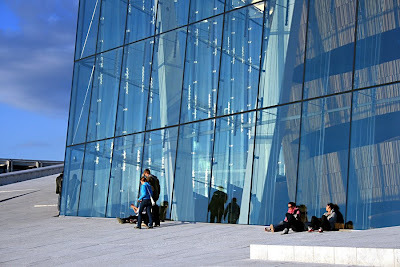 Why not have a nice rest outside of the new opera house in Oslo?